Advances in technology mean that keys for vehicles, gates and houses are becoming ever-more sophisticated. Security is extremely important to any homeowner, which means that keys can play a vital part in helping to keep the property safe. Action Lock provides keys with the latest transponder technology in order to give people peace of mind and keep their property secure. Read this helpful guide about the key differences between a regular key and one fitted with transponder technology. Transponders work by emitting a radio signal from the key to the car. The car is fitted with a special sensor which picks up the signal from the key, causing the doors to lock or unlock depending on which button is pressed. How Common Is Transponder Technology? As car security systems become more advanced, many new vehicles are fitted with some form of transponder technology. What Are The Advantages Of A Transponder Key? A transponder key has a couple of distinctive advantages over a normal key. Firstly, if someone tries to access a car without the proper transponder key, the alarm system will be triggered and will cause the potential thief to panic and run away. If the transponder keys are not in the ignition the thief will not be able to start the engine because there will be no signal – hotwiring the car won’t bypass the system. Secondly, a transponder signal is unique to the car which it unlocks, so it can’t be used to unlock other cars if it is stolen. 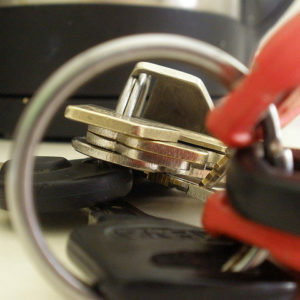 In contrast, regular keys which don’t have this technology can often be used to gain access to different cars. Cars without transponder technology are more susceptible to being hotwired. What Are The Advantages Of A Regular Key? Whilst transponder keys help to give cars a large amount of security, that isn’t to say that regular keys should be completely disregarded by drivers. Transponder keys can sometimes run into technical difficulties which could cause them to malfunction. In a worse case scenario, this could cause someone to be unable to access their car when they have to tend to an emergency such as their partner giving birth or a friend having an epileptic fit which requires medical attention. A regular key requires only simple repairs if it becomes damaged. Transponder keys will need to be taken apart and reassembled in the event of any malfunctions, so make sure to have a backup key handy at all times. It is hard to say whether a regular or transponder key is preferable, but transponder keys do seem to have the edge over normal ones which it comes to providing protection from car theft. A stolen car is one of the most stressful scenarios which a motorist can face, so a transponder key could help to give peace of mind. This entry was posted in Auto Locksmith. Bookmark the permalink.